The International Dark-Sky Association welcomes a new chapter in Ohio U.S. to support efforts that protect the nighttime environment from light pollution across the state of Ohio. 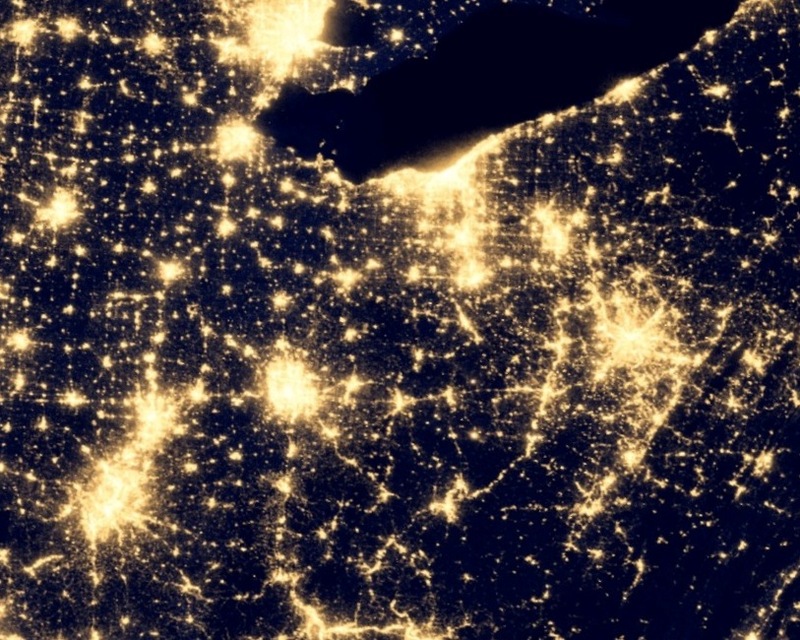 Light pollution–defined as the inappropriate use of artificial light at night–is a recognized environmental pollutant that wastes energy, harms wildlife, negatively impacts human health, causes blinding glare, and ruins otherwise star-filled skies. “IDA Ohio is ready to step up night sky preservation efforts across this state,” said Bob Gent, past-president of IDA and newly elected president of IDA Ohio, LLC. “We have been monitoring local policies and discussions and will now be able to take a more active role to help Ohio’s cities, counties, and communities protect the night sky.” For example, Dayton has recently enacted outdoor lighting codes that address some of the negative impacts of light pollution, and IDA Ohio hopes to help other places in Ohio consider similar actions. It was in Dayton that IDA members gathered recently and voted unanimously to form an Ohio Chapter with an elected all-volunteer board that includes chapter president Bob Gent, vice president Terry Mann, treasurer Bryan Summer, secretary Daniel Wade, and director of communications Monica Schultz. IDA Ohio will host a chapter meeting Saturday morning, Oct 6, 2018, at the Hidden Hollow Star Party events hosted by the Warren Rupp Observatory in Bellville, Ohio. The International Dark-Sky Association (IDA) is a 501(c)(3) founded in 1988 to protect the night skies for present and future generations. Today, IDA is the recognized authority for night sky protection and has taken the lead in identifying and publicizing the negative impacts of artificial light at night on human health, wildlife and climate change. IDA works with the public, city planners, legislators, lighting manufacturers, parks, and protected areas to provide and implement smart lighting choices. IDA Ohio is an approved chapter of the International Dark-Sky Association, and shares tax-exempt status as a 501(c)(3) chapter. IDA Ohio, LLC, has also registered with the Ohio Secretary of State.